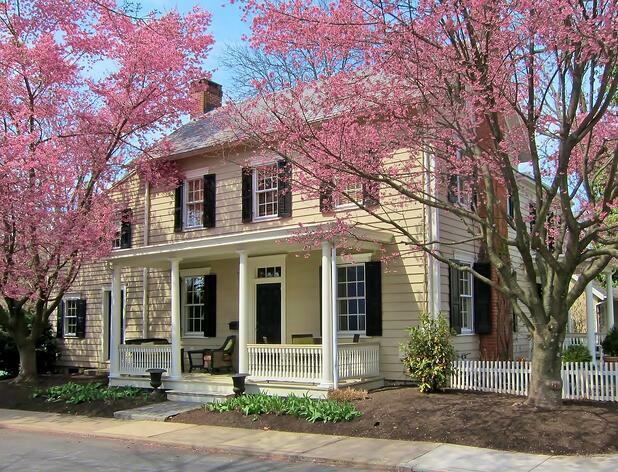 Owning a historic home is a labor of love. They require special care and preservation, and their climate control needs are nothing short of special. 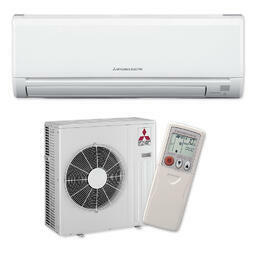 But Mitsubishi ductless heating and cooling systems, also called mini-split units, bridge the gap between old and new to make a historic home comfortable without losing the charm and integrity of the structure. Let's just say you get the best of both worlds! If you own a drafty old house in Bucks County or the Delaware Valley (or if you want to), heating and cooling it definitely ranks high on the "con" side, but here are a few reasons why mini splits are an ideal way to make all those worries, disappear. Modern homes are designed to accommodate the ductwork for a whole-house HVAC system. Many historic homes, on the other hand, were not. Even older homes that once had a coal- or wood-fired furnace and vents in the rooms may not have much space available for installing a network of ventilation that reaches every floor. 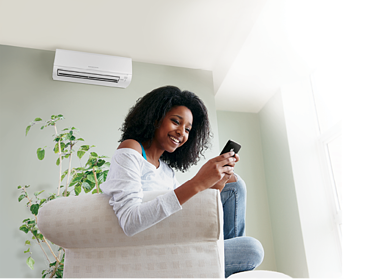 Mini-split systems are a ductless heating and cooling solution. There's absolutely no ductwork at all! The U.S. Department of Energy also explains that mini-splits don't lose conditioned air through the ductwork the way traditional systems do. If modifying a historic home to accommodate ductwork in the attic seems like a bad idea, cutting into original wood floors, historic plaster walls, and perhaps elaborate ceilings to install the vents or registers is worse. Older homes, like the countless ones in our area and particularly those on the historic register, may have strict guidelines that regulate what can and can't be marred during renovations. And whether a home is on the register or not, there's something sad about cutting away authentic materials to make way for something modern. Mini split systems don't need registers, so your home stays intact- just the way its supposed too. With no ducts or registers, you might wonder just how a mini-split system works. They're essentially heat pumps. Each zone has its own air handler, which is small and low-profile, and the main condenser unit is situated outdoors. Connecting the air handlers inside with the condenser outside only requires a small hole drilled through the wall. Another plus is how small the condenser is. You won't have an oversize unit on the property, because they're a fraction of the size of a traditional heat pump. You won't even realize it's in the room! Old house lovers know that one problem is fairly universal: It's difficult to be comfortable in every part of every room. Mini-splits were designed with zone-specific control in mind. Where you have areas that roast in the summer and chill in winter, a mini-split lets you focus conditioned air where you need it most. In fact, even if the home already has a newer forced air system, you might still want a mini-split for trouble spots. Mitsubishi ductless heating and cooling systems are cutting-edge, yet they fit perfectly in a home that's stood for a century or more. They're the simplest for any retrofit application, whether your home is new or has had several generations of owners. But perhaps it all boils down to comfort. Historic homes are old, and old houses are drafty. And with poor insulation a common problem, comfort is a sacrifice that just comes with the territory. With a new Mitsubishi system, you'll have your beautiful property and enjoy it in any season. Interested in learning more? Click our link below or give us a call at 215-245-3200. 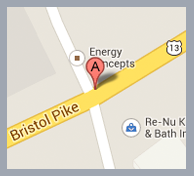 We would love to help make your home as energy efficient and comfortable as possible!